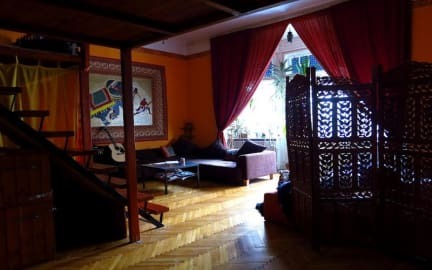 Lovely share house vibe in this smaller hostel with helpful staff and volunteers. Love that there are no bunk beds and everyone gets a bit of space, complete with Dalai Lama pics, resident dogs, free tea and Indian wall hangings. Nice and quiet but close to everything. such a nice and cozy hostel! friendly staff and lovely dog! And the fact that they have lofts instead of bunk beds is a big plus! 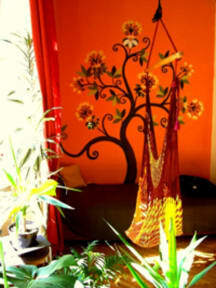 Very much enjoyed my stay at Mandala hostel. The location is perfect, as its in a quiet district, but just a walking distance from the main streets for nightlife. The hostel itself is clean and the rooms are cozy. Really nice place to meet other solo travellers, while quiet enough to get a full nights sleep. The staff was very welcoming and it was nice to hang out with them in the evenings. I will be back! really a great atmosphere! much better than the bigger chain hostels. Brilliant and Friendly staff. If you are used to 5 stars hotel.. don't go there, but you have everything you need for the price. Location is perfect.. Definitely worth the money. Highly recommanded. Bedbugs in the room where I stayed. A herd of bedbugs grazed all over me while I slept. AND they were spraying insecticides in the dorm room while I was there, but the staff was not open at all about why the dorm room was closed for 8 hours. Very suspicious. I wish I had stayed somewhere else.